On 19.12.2014. 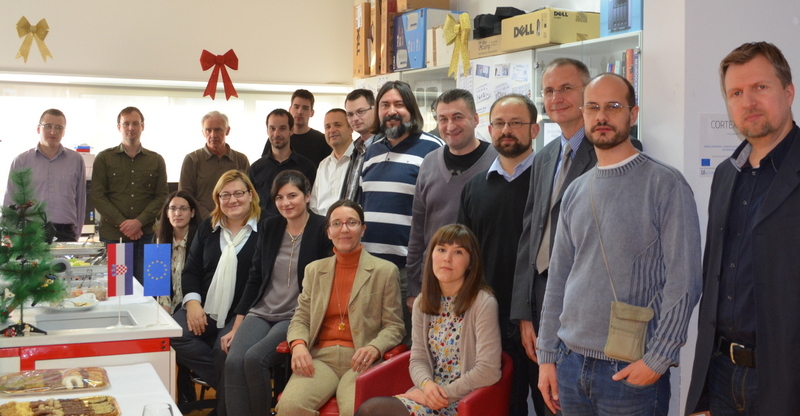 Kickoff meeting of the team on project STRIPmed (Strengthening the capacity of University of Split for research, development and innovation in medical neuroelectronics). Project is funded by Structural EU fond RC.2.2.08-059: (2014-2016, 790 k€ / 6.01 milijuna kuna). Project leader is Doc.dr.sc. Damir Kovačić, UNIST, MEFST and Partner: Mikroprojekt d.o.o (director: dr. Ježić). Project will newly employ and train 12 experts in field of medical neuroelectronic (neurobiology, physics, medicine, electro-engineering), build stronger capacity in equipment and develop hardware interface for neuro-monitoring and module for reduction and automatization of neuroelectronic signals of auditory neurons.